Welcome to 2018. As web developers and designers, it’s our job to stay abreast of where design and UX is going globally, so that we offer our clients the very best in design and functionality. Over the last year, high-quality photography started to dominate in popularity. With it’s stately feel and ability to draw the eye to linger, it has rightly taken a prime position as an option in design choice, specifically for high-end brands that want to communicate quality and sophistication. But now enters a dark horse – illustration. 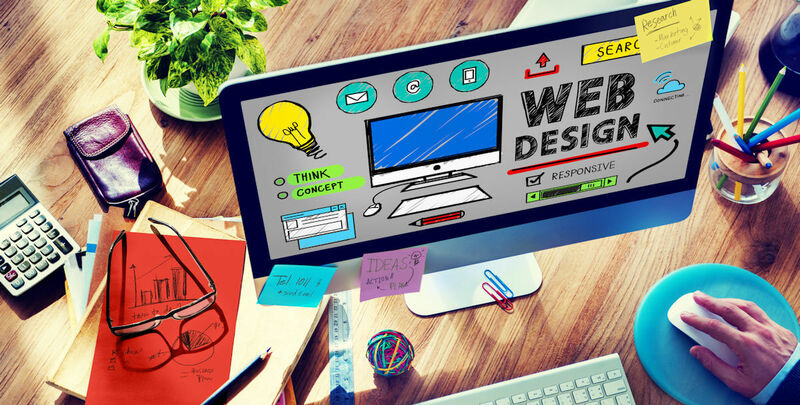 It’s uncapped flexibility and ability to capture abstract concepts makes it a worthy option for designers wanting to really do something truly unique and captivating with a website. Illustration is also more accessible in that it’s sort of the everyman’s medium of expression. While photography conveys status and superiority, illustration can convey the same thing, but also attract other users in different market segments. As a designer, you’ll know that whatever visual medium you use will need to be based on the product, and fit what the brand is and where it is going. However, if you are very clever, you might be able to find a way to use combinations in a way that is complimentary and visually exciting. As the world shifts gears into more environmentally conscious business practice and nature becomes the celebrity she was meant to be (think Instagram accounts specifically for rain forests and ocean reefs, lobbyists gaining thousands of Twitter followers), so will design evolve to support this. We are seeing trends in more organic shapes and colours across multiple platforms. Look at the profile avatars, status bars and tabs on social networks – the flat, somewhat harsh right-angle is out, and its curvier, softer and visually friendlier sister is now the belle of the ball. UIs have lines that are softer and more naturally evolving, drawing the eye and intriguing the response. Bright colours are used as a statement of natural beauty, and not necessarily just to drive action as we’ve done in the past. With illustration and organic lines coming to the fore, websites that look more like pieces of art will become more popular. Remember when serif fonts were a no-no on websites? Well, those days are gone. With font-rendering applications advancing and support for variations growing, fancier fonts are being welcomed back with applause, and the options are endless. This is good news for designers wanting to bring that extra dash of class and sophistication to their websites. Just remember that if you are going to use serif fonts, to keep the rest of the design simple and clean – this will maximise the refined look you are going for. While we’re talking about fonts, variable fonts will also make huge waves. A variable font is basically a single font that behaves like multiple fonts, but it doesn’t call in all that functionality from your CSS. It can widen and thicken, grow bigger and smaller, sprout or hide serifs, all while the user watches on, mesmerised. It’s going to be a hit. It’s really not news that people want to engage with brands, so it no surprise that interactive content, such as quizzes, games and polls, is such a hit. People want to feel that a brand speaks to them personally, and that they’ve made their mark and been heard – which is why polls are such a popular online activity. This year, we will see interactivity reach new heights, as brands compete with each other for the ultimate user engagement. This is not just for social media channels, websites will have small games and quizzes available at the click of a button, fostering participation and even brand-communities. Basically, 2018 will be the year websites become more functionally beautiful, all the while taking user-engagement to a new level.